Ann didn't always sit alone at school recesses and lunches. Patty came to say hi and sit with her quite often. This was Ann's little secret she didn't tell anyone – she was very selfish with wanting Patty all to herself. Deep down Ann knew all would be happy she wasn't truly becoming anti-social. They might be a little mad at her for ignoring the other girls. But Ann didn't really care. Patty hadn't come and Ann wasn't going to join the other girls. At one time they had all been good friends. Especially she and Barbara. But those girls said cruel things. Things that Ann would never repeat, even to let her mind rest. They had lectured her for her grief rather than comfort her – condemned her tears, saying she lacked faith in embracing Jesus' comfort completely. What would they know? The biggest sorrow they ever had was a sore tooth – causing them to miss an afternoon of play. No – they were no longer friends of hers. Friends understood and encouraged. These girls did neither. There were the boys. Ann had never owned a bashful personality and she very much considered joining them. Noah and Fred-O and their friends did not mind Ann playing their games. In fact all the little boys loved her, and Ann did love them back. Running with the boys was much more satisfying than being the brunt of a sermon from so called friends. The boys were already enthralled in the middle of a game. She finally stood up from where she sat eating her lunch, considering barging in on the game. There was nothing better to do – she did not feel like reading today. Ann hung up her lunch pail – and those her brothers had left lying beside her – and decided to walk around the school yard to see what was happening, and maybe end up with the boys and their game. She passed the girls, all chatting and gossiping. Thankfully they didn't even see her as she passed so she was not forced to join them. Ann walked by Lucy's friends. They were much nicer girls and even included her in their activities at times. Richard – and old friend of Vern's – sat talking with David. He no longer attended school as he had graduated with Vern, but he still came occasionally during recess to speak with some of the boys. Joyce for once was not with him, but with Lucy's group of friends. Ann was going to continue walking on, but David's words caught her attention, causing her feet to stop. “Maybe,” but David did not sound convinced. “It's not like we can talk about how everyone died.” Richard laughed. Ann felt she was standing in an auspicious position – it would be obvious to all that she was in the middle of the yard eavesdropping. But she had to hear! She fidgeted a little hoping no one would see her. “I heard your uncles had a hard time finding a job when they first returned,” Richard said. “Oh?” David acted as if he hadn't heard this news. Both boys suddenly turned around forcing Ann to start walking. She hoped they hadn't realized she was listening – as Ann quickly walked away from them she sneaked a look back at the two boys. They were already talking again. Was there more to hear? She did not know. But she had heard enough. Now she was sure that Robert and Miles Richter were responsible in some manner for Alex Norris' death maybe indirectly. She did not know how – just that they were involved. She was ready to find proof. Noah didn't seem affected by Vern's words, but Ann looked down hard at her plate that was still much too full of food that she had to eat before escaping the table. Thoughts swirled through her head. She knew she was right. She just had to prove it on her own as it appeared everyone was against her. But try as she might, Ann could think of nothing to solve this mystery. All she could do was count the days till spring came. 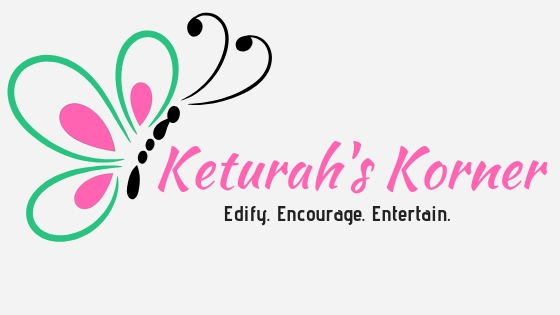 She knew she would find out then – distinguish herself in the eyes of her siblings. There's more of them than Father, so they had high chance of discovering what was true. Even as Lucy wanted to pull Ann out of her shell, Lucy found herself slipping into one, too. She wanted Ann to be happy – but putting all your faith in a mystery that could or could not be true was dangerous. Couldn't Ann see this? Lucy finished all her chores. It was a nicer day out – winter was warming away. No snow, barely any wind. It was still not quite spring. But the day was looking like it would be soon. “Want to go out and play?” Lucy asked Julie. Fresh air would be good for both of them. “Sure,” Lucy answered. Lucy packed a small lunch for the two of them, and then put her school books and a fiction story in a pail. She bundled up Julie, taking her hand. “Where are we going?” Julie stumbled over her words as they walked outside. Lucy walked a little faster to keep up – it wasn't hard staying with Julie's pace. Julie lead them toward a way they didn't normally go – toward Grandpa's shack. They stopped right outside the cabin – Lucy did not feel like unbarring the door and moving all the firewood just for a place to sit inside. Besides they had left the house to be outside. It was close to the middle of the day and the sun was doing a good job making it feel warm. Lucy made out a place to sit, throwing a blanket onto the ground. She studied her books while she watched Julie play. Watching Julie be happy made Lucy feel like maybe she was doing some good – but then her thoughts drifted back to Ann and Vern. Ann was not her normal self. And Lucy and Vern were not always getting along anymore, or even agreeing. Something that made it hard for things to be run smoothly. With the added worry of what the O'Rallies had delivered, Lucy knew she needed to bring her family together more. But how? She knew the mystery wasn't going to solve all their problems just as much as the town women's ideas wouldn't. Vern had grown used to the silence of the mines. Sure, it had been hard at first. They were dark and lonely, and not a good place to try and forget the pain of seeing his father die. But this was life now – his life. And he had grown to like it very much. His thoughts could drift free even as he kept working, removing the ore.
Ann's words from the previous night bothered him more than just a little. Father would not have approved of them accusing anyone of murder. He only meant for this treasure hunt to be fun – yet it would seem Ann was taking it much too seriously. Part of Vern wanted to drop the whole mystery. But he knew that wouldn't stop Ann. No – next month. Next month it would be warm enough to do a real hunt. And he'd take all the children. Vern put his tools down on the ground. His wheelbarrow was full of ore – as were all the others. Tomorrow he and Tom would bring all the ore to the train station in Norris. And then he would see how profitable his work had been these last months. Maybe he'd take a short break for a week or two to catch up with studies at the house. That would make meddlesome adults leave him alone for a bit. He broke into the sunlight. It wasn't that much warmer than the mines – but the bright shining sun gave the illusion of being warmer. 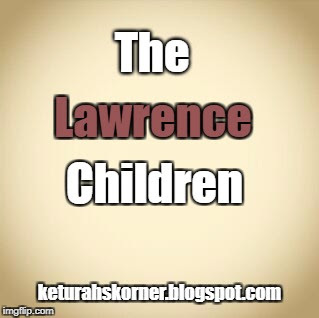 The Lawrence children would find a way to solve this mystery and stick together. Vern was certain of this – Lawrences didn't give up. At least he wouldn't. Make sure to return the second Monday of next month for the continuing installment of the Lawrence Children!